New Summertime Coffee: Midnight Kona! Bold, Dark and Delicious! As most coffees go blonde this time of year, Maui Wowi wanted to turn heads with a delicious, rich, dark roast instead, and it’s creating a stir! Introducing Midnight Kona, a premium dark roast coffee, available for a limited time at participating Maui Wowi Hawaiian stores, kiosks, and mobile units while supplies last. Midnight Kona offers a bold Hawaiian personality with a complex flavor profile coffee lovers will admire. A blend of Costa Rican and Kona coffee beans, the new brew presents a balanced flavor with a rich, heavy body that is countered with subtle hints of coriander and cinnamon. The unique, peppery aroma of this one of a kind summer brew sets it apart from Maui Wowi’s year round selection of gourmet beans. The coffee can be prepared over ice or served hot and is the perfect summertime sidekick. Stop in and get yours today! 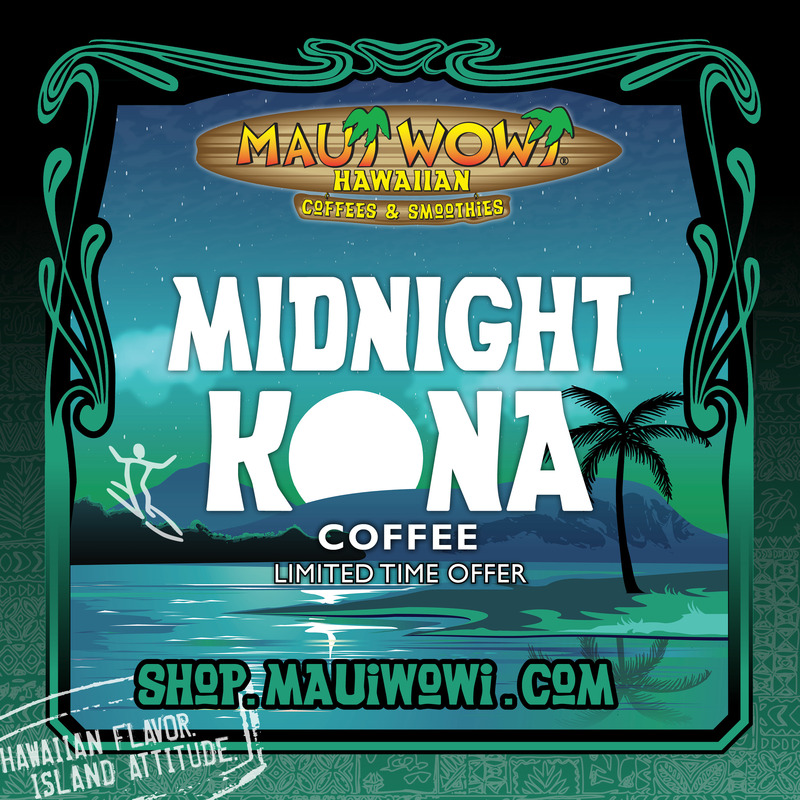 Bags of Midnight Kona in whole bean or ground coffee can also be purchased for a limited time on shop.mauiwowi.com. This entry was posted in Products and tagged bold, buy coffee, coffee, costa rican, dark roast, iced coffee, Kona, kona coffee, limited time offer, midnight kona, Summer, Summertime. Bookmark the permalink.